ca. 470 - 425 B.C. 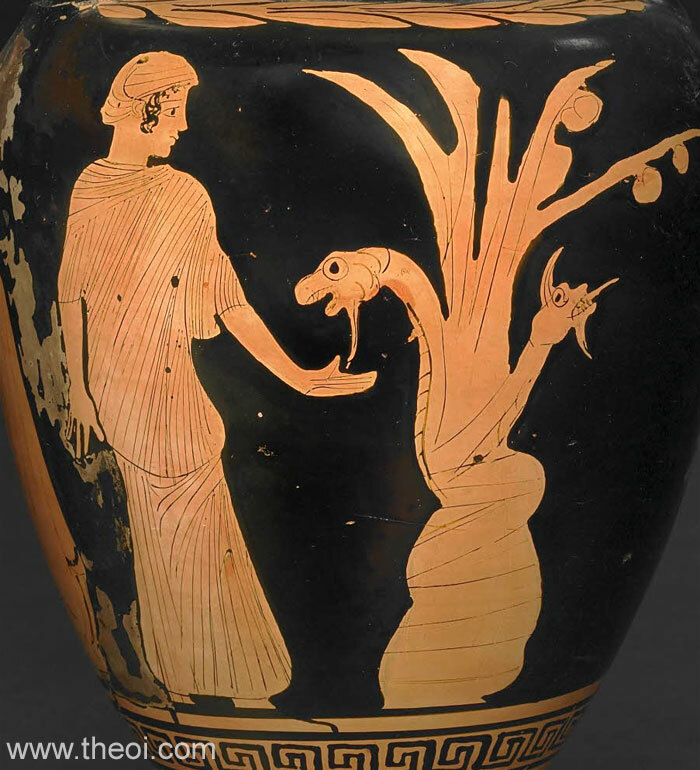 A Hesperid nymph stands beside the golden-apple tree around which is coiled the dragon Ladon. The monster is depicted as a thick-bodied, two-headed serpent. The Titan Atlas approaches the tree on the right (not shown). Heracles stands behind him bearing the dome of heaven upon his shoulders.